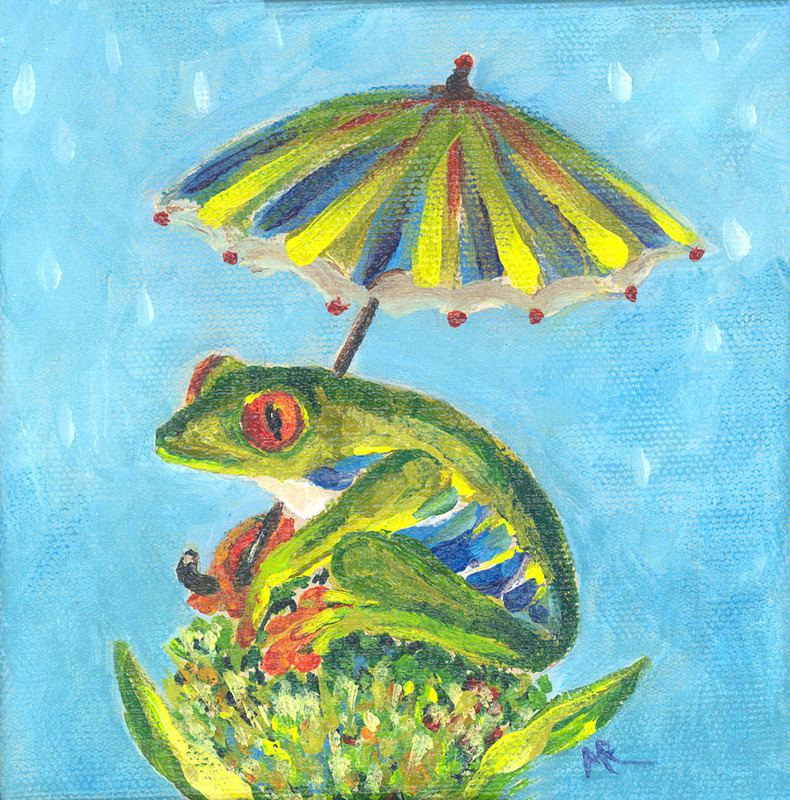 A whimiscal acrylic painting measures 5″ X 5″ . Painted on a wrapped canvas. This painting is presently showing at the San Clemente Art Gallery. 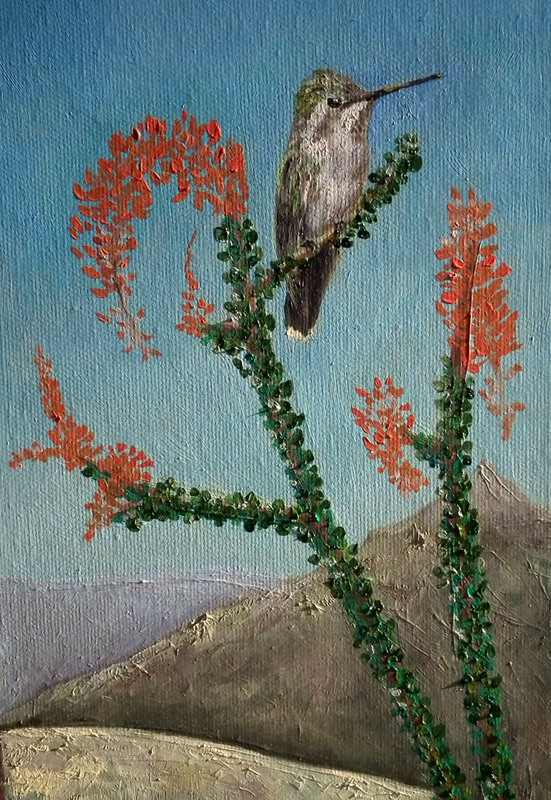 Oil painting of Anna’s female hummingbird in a desert landscape. Emphasis is the hummingbird, deliberately proportionally larger. The hummingbird subject was from my photo of the female Anna’s who made her nest in my yard and had two sucessful hummingbirds fledge. The desert landscape is also from my photo reference taken while visiting the Anza Borrego Desert. 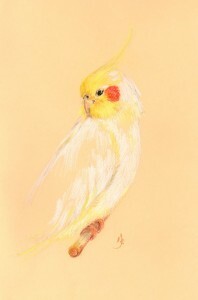 The pastel drawing of the artist’s Cockatiel, is being exhibited at the San Clemented Art Gallery from May 3rd, 2010 through to June 17th, 2010. The gallery is open from 12:00 – 4:00 p.m. M-F and from 10:00 – 4:00 p.m. on the weekends. This original pastel drawing is not for sale. It is available as a note card. If interested in note cards or in commissioning artwork, please do contact the artist; monique@mfrartwork.com. This Cockatiel, Professor Higgins is 30 years old and guards his domain.